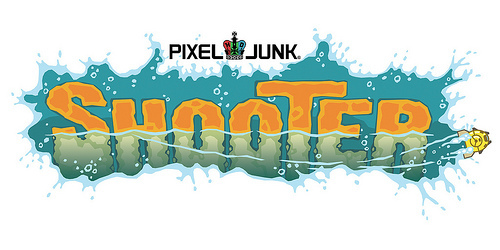 There's a new video from the San Diego Comic-Con show floor that shows Pixel Junk's next co-op creation called Pixel Junk Shooter. The video shows the basic concepts of the game, players control a ship through caverns filled with dangerous lava and other objects in an effort to rescue people. Using the enviornment you'll navigate around, breaking rock and using lava to melt through seemingly impassible paths. There's no co-op on display in the video, but it gives you a good idea of how the game plays. The animations and look are very pleasing to the eye.